HBSC is headquartered in New York City, United States. It is a subsidiary of the HBSC Holdings and is operational since 1850 under the name of Marine Midland Bank. The financial services company specializes in offering Banking, International Finance and Banking, Wealth Management, Financial Services and Corporate and Business Banking facilities. It is one of the largest financial services and banking institution that serves over 37 million customers worldwide. The HBSC network covers 67 countries with 3900 banking locations that offer commercial banking, global private banking, retail banking and more. Company Headquarters offers a detailed information of the HBSC headquarters and corporate office address. You can also find customer service information and headquarter team details. Read on and have a nice time accessing all the information required. 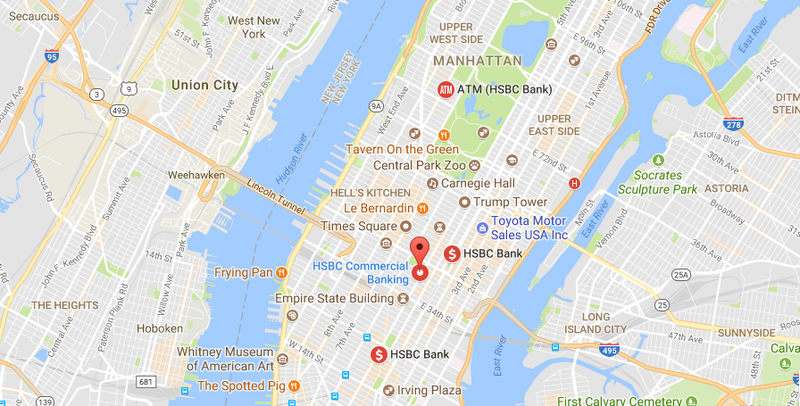 To get in touch with the HBSC headquarters in New York you must feel free to call at 1-212-525-5600. Customers who are willing to contact the HBSC finance business must call at 1-224-544-2000.